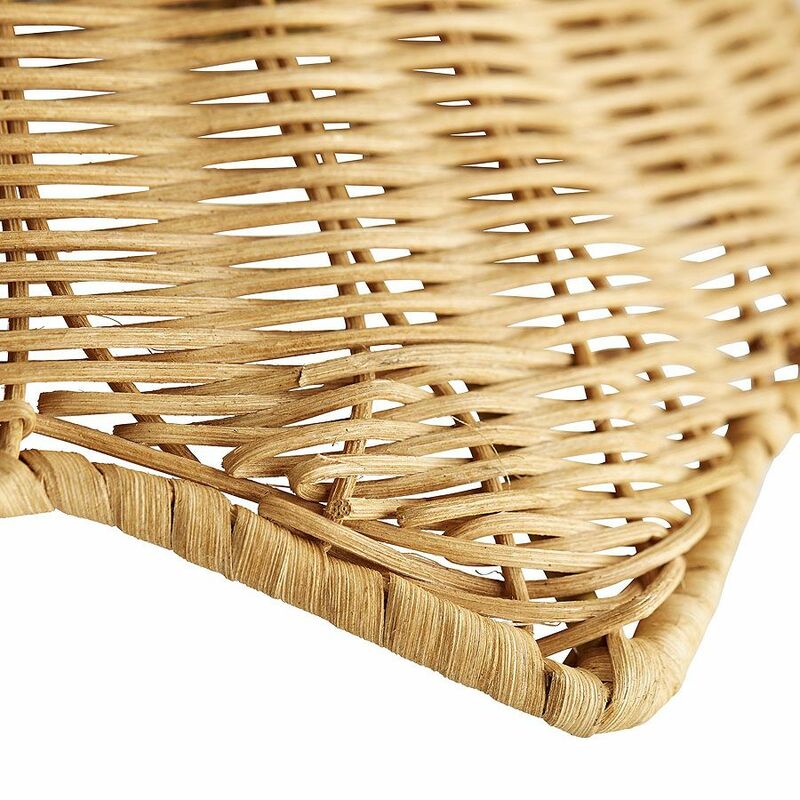 Handwoven, rattan wicker is just as Caribbean in its style as it is sophisticated. 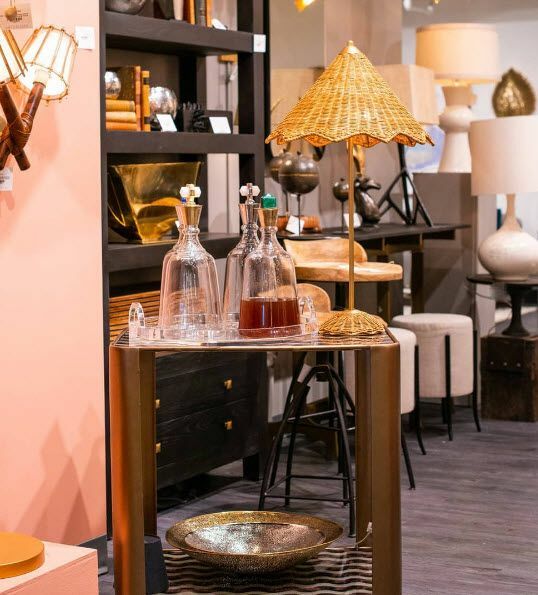 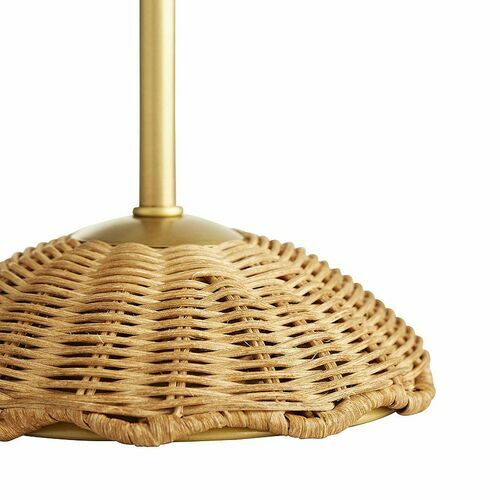 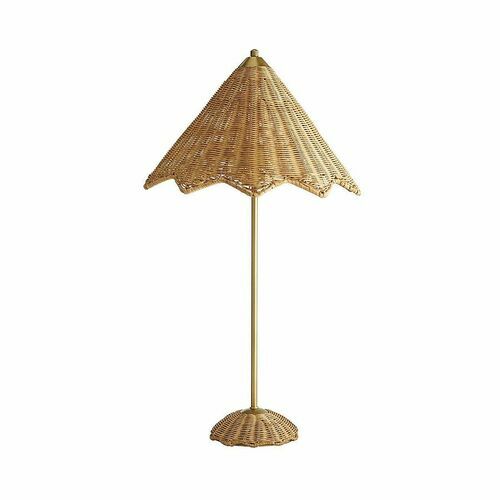 The shade and base are both made of natural rattan; the shade features an exaggerated scallop edge while the base conceals a steel plate. The stem is crafted from stainless steel, finished in a warm antique brass that contrasts the whimsical silhouette. 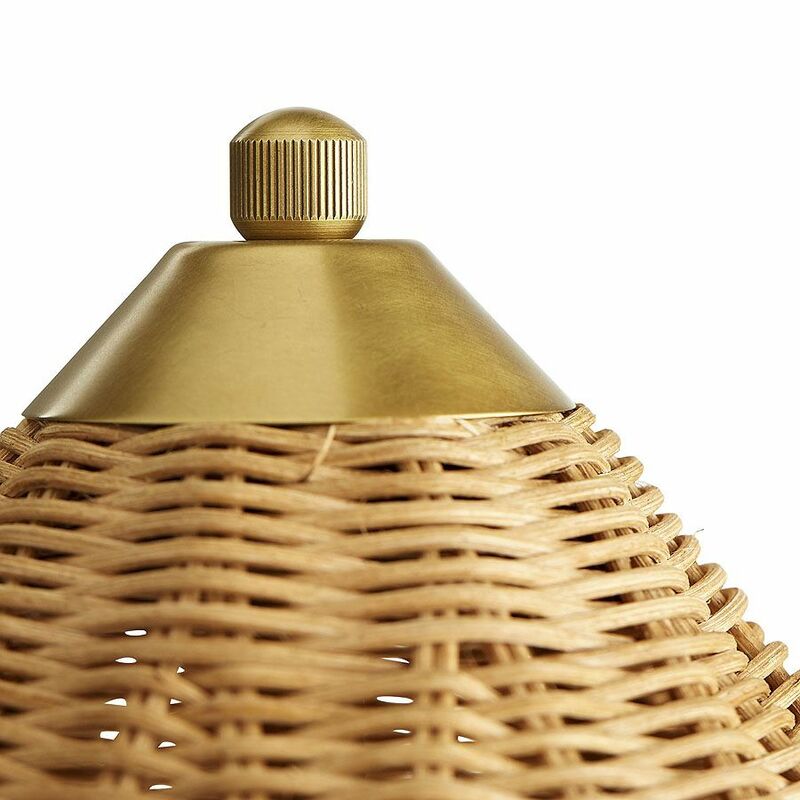 Two 60 watt bulbs are set to a dimmer switch, so you can set the mood however you like.